The DeNA BayStars outlasted the SoftBank Hawks 5-4 in a seesaw game on Thursday, continuing their comeback with two straight Japan Series wins after losing the first three. Cleanup hitter Yoshitomo Tsutsugo hit a two-run homer and an RBI single and scored twice to pace the BayStars, who are still trailing 3-2 in the best-of-seven championship, which will move back to Fukuoka after three games in Yokohama. While in the last four games, the team that scored first went on to win, things did not turn out that way in Game 5. As in the first three games, SoftBank scored in the first, but this time it was not leadoff man Yuki Yanagita singling and scoring. After Yanagita grounded out, Kenta Imamiya singled and stole second before Seiichi Uchikawa doubled him home. 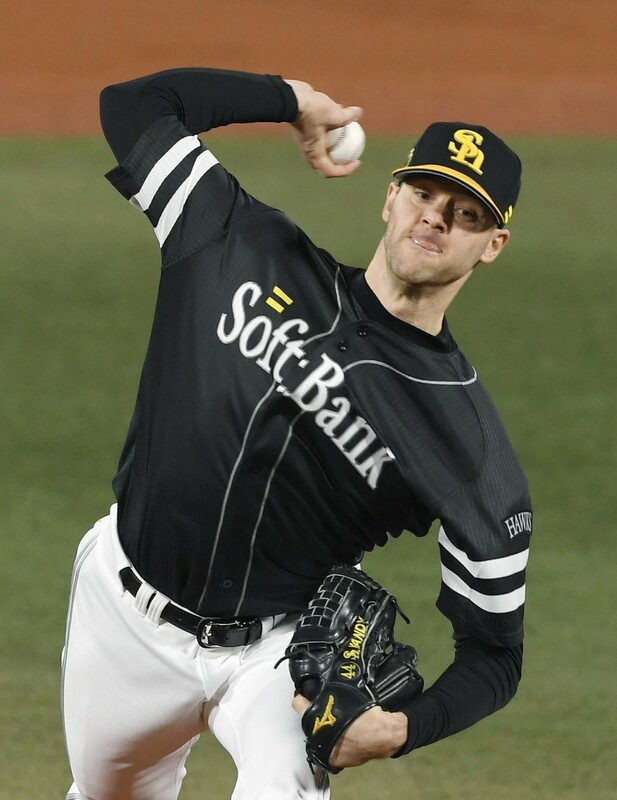 SoftBank starter Rick van den Hurk displayed perfect pitching until two outs in the fourth, when Jose Lopez doubled off the right field wall and Tsutsugo hit a two-run home run into the center field stands to put the home team ahead 2-1. The visitors needed little time to retaliate, an obviously zealous Yanagita singling in the top of the fifth, advancing to third after a sacrifice bunt and a wild pitch, and coming home on Alfredo Despaigne's sacrifice fly to tie it. Uchikawa, who played for the Yokohama BayStars for 10 years before moving to the Hawks in 2011 as a free agent, then singled to pave the way for Akira Nakamura's full-count, two-run home run into the right field stands at Yokohama Stadium, making it 4-2. 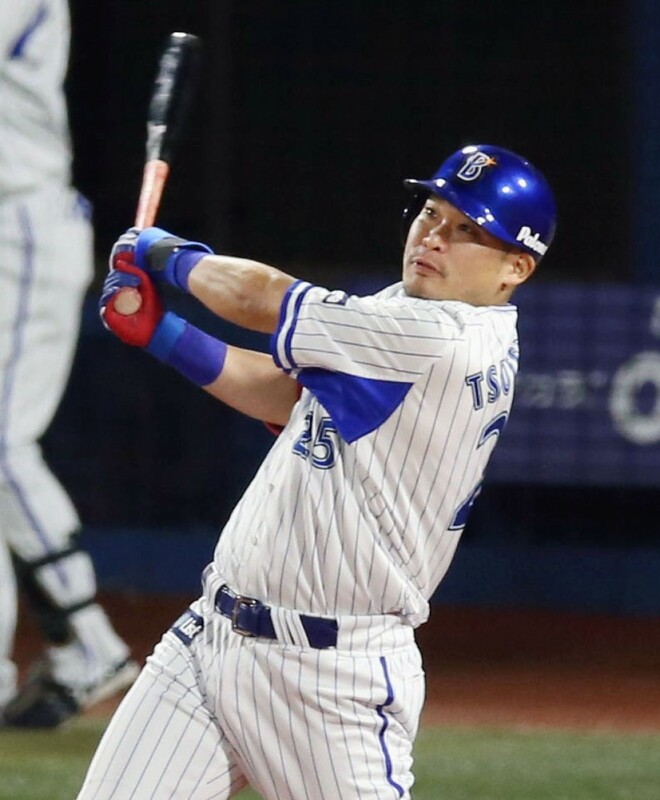 The BayStars, looking for the franchise's third Japan Series title and first since 1998, came back in the sixth, Tsutsugo hitting an RBI double to deep center with runners on first and second, and Central League batting champ Toshiro Miyazaki tying it 4-4 with his RBI single. The home team went ahead again when Hawks second baseman Kenji Akashi fumbled a potential double play grounder by pinch hitter Hiroki Minei with runners on the corners. DeNA skipper Alex Ramirez sent closer Yasuaki Yamasaki to the mound earlier than usual when Spencer Patton put runners on first and second, with two outs in the eighth, and the right-hander struck out Yanagita. Yamasaki got himself in trouble in the ninth, loading the bases, but got Akashi to ground out to first to end it. After a travel day Friday, the series returns to Fukuoka for Games 6 on Saturday and 7, if necessary, on Sunday.